If you have been cooking Indian food or looking at recipes for Indian food or shopped at an Indian store, you may have come across the term, Indian Bay Leaves. Unfortunately, these aren't anything like the bay laurel leaves used in Mediterranean cuisines. 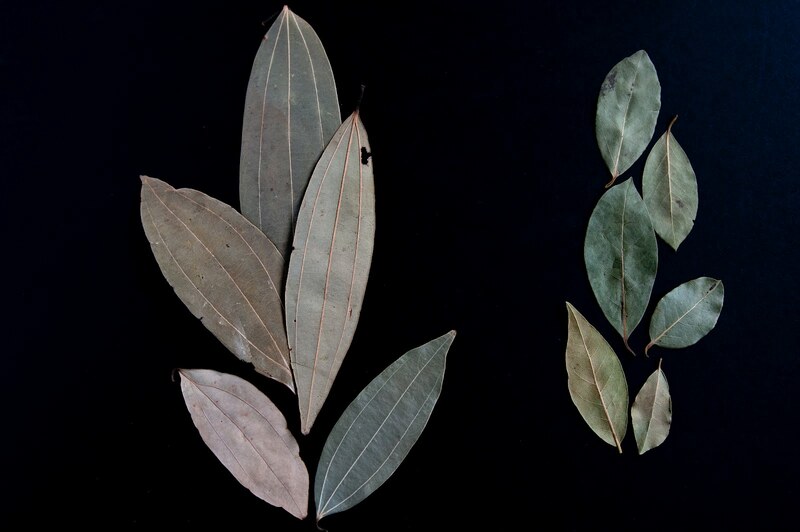 These leaves are from a tree that is from the same family as Bay Leaves—Lauraceae—but that's where the similarity ends. Known as tamalpatra (in Marathi and Sanskrit), tej patta (in Hindi), and ilavangapattiri (in Tamil), these leaves belong to a tree that is closely related to the cinnamon tree. They have no English name, which might explain the misnomer of Indian Bay Leaves. They are very aromatic and have a fragrance similar to that of the cinnamon bark with a dash of cloves. Bay leaves, on the other hand, have a mild lemony fragrance with a bitter undertone. Tamalpatra is a three-veined leaf whereas the bay leaf is much smaller and has a single mid-vein. Bay leaves were a recommended substitute for tamalpatra when Indian ingredients were not easily available in this country. You still won't find tamalpatra in your supermarket but you will find it in specialty spice shops and in Indian grocery stores where, unfortunately, the packet will probably bear the label Indian Bay Leaves. But think of it this way, if you see such a packet, you can smile to yourself and think, Ha! I know that's not a laurel leaf. It's a tamalpatra! Also, if an Indian recipe calls for bay leaves with no qualifier, you can ask the author, Did you mean bay laurel leaves or did you mean tejpatta? It will usually be the latter unless it's a Mediterranean-Indian fusion recipe. Seriously. If you haven't cooked with these leaves before, try cooking a simple pulao and throwing a large leaf into the hot oil along with any other whole spices you are using. It will take the pulao to new heights and you will never be able to go back to using bay leaves as a substitute. If you're tempted to make a substitution, I would strongly recommend using a small piece of cinnamon and a clove, instead. Oh no wonder.I have this bay leaf plant in my house which I planted with great excitement, dreaming of flavoursome curries and rice etc. Often wondered why the effecet was not as dramatic as I hoped it would be.Now I get it. I have been using bay leaves instead of tejpatta! !Thanks for clearing that up. I think this PSA needs to be made every now and then till it registers and becomes common knowledge. I used to try to clarify in the recipes by writing "tejpatta (not bay leaves)." Those caramels be handcrafted! Are they too much work? I bet they are worth all the work. I have suddenly been reading a lot about how Indian bay leaves are not actually bay leaves! I knew that they were leaves from a tree similar to cinnamon tree or cinnamon tree itself. A friend from Kerala told me that. Thanks for the photographs. That helps a lot. This PSA should be required reading for all. Don't you have a similar post for cinnamon? Poornima, I didn't get it for the longest time. I didn't understand why the tejpatta here was so much smaller when everything else was supersized. I used to think that the leaves were of inferior quality. It didn't occur to me that they were completely different in shape and flavor! Anita, heh. I stopped using them after I went through my stock of bay leaves. 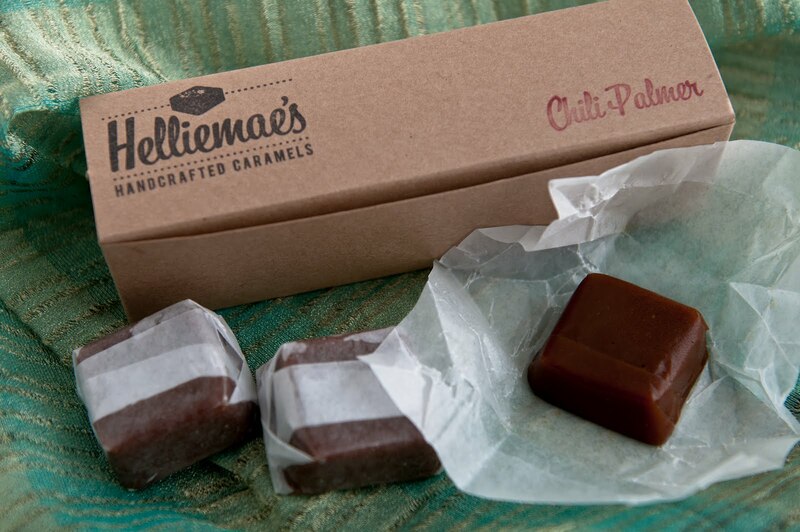 And, yes, those caramels are handcrafted in a comissary kitchen near Denver. I've helped wrap some. Didn't a wonderful friend give you a candy thermometer? Put it to good use! Just remember that when you pour heavy cream into burnt sugar, you could end up burning yourself so read, re-read and then read the instructions again. I love these salt caramels. Sunshinemom, Anita and I have been talking about it for years now. The terminology is -- according to me, of course -- a result of Indians bending over backwards to find an English name or description for everything Indian. Sometimes there are no parallels, leading to misnomers such as this. I'm guilty of using bay leaf to describe tamalpatra, too. In those days, I didn't know any better. I have gone back and updated my posts to link back to this one for correct information, something I should have done a long time ago. TC, I had written a post for a friend about 5 years ago. It's here. Very useful M. Thanks for putting it out there. Labeling is even bigger disaster in Kuwait and you won't believe the absurd translations. Yes, they grow profusely here in Fiji, called Tej Patti, English name - Curry Leaf. Love the flavour, and use them in everything, especially dhal. Ah! Is that what "curry leaves" are? I got some dry, but was told "if you're going to use dried curry leaves, just don't bother." Possibly because you don't know how long they've been in the shop/warehouse. I do know we used some and were underwhelmed...they didn't seem to add much so I guess they were probably old. Manisha, this is OT, but for the first time in 30 years I am actually looking forward to the long hot summers in S. Spain where I live--so I can make some more solar lemon and lime pickles! I made some this summer and have about a cupful left which gets dosed out with a miser's hand. I could probably try making some in the crockpot but the solar-made pickles are just soooo good, I'd rather wait. Like fruit when it's in season, it just tastes so much better it's worth missing it. notyet, and how do you feel about tejpatta? Gay, tejpatta / tejpatti same thing. But I find it interesting that it is called curry leaf. What do you call kadipatta in Fiji? Anna, these are curry leaves or kadipatta. It's a compound leaf and yes, don't bother with dried or frozen kadipatta. Better to do without. Yay, for sun pickles! It's citrus season in the US unfortunately. I only get Meyer lemons till mid-March or so. I have some lemons pickling in whatever winter sun we get. But if you believe some of the experts, they will insist that the fruit is curing in the salt and not fermenting in the warmth of the sun. I am so glad you like the pickles! Try adding some julienned carrots. They retain some of their crunch and taste wonderful! Thanks for the insight about Indian Bay Leaves Manisha. Didn't know this. My packet says "bay leaves" -- from Indian store. some of the leaves are super sized and looks like the one on left. A few are smaller in size, haven't checked the veins. Don't know what is happening. Didn't even know of these differences. Manisha, sorry looks like I didn't check the pictures of the leaves properly. We don't have Tej Patti in Fiji, but call the Kadipatti Curry leaf and Tej Patti instead. Interesting, don't know where all that came from, just know it from my childhood until now. Funny, huh? Namitha, it's up to you, really. The confusion will persist for as long as packagers and distributors of tejpatta continue to label them with Indian bay leaves or just bay leaves. I find it's always better to know the difference. Gay, no worries! I am always interested in knowing more about Indian food that has traveled to other countries and how it has changed due to local influences. 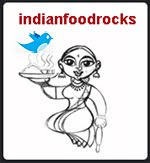 Just like those who took Indian food with them to Fiji, you have no doubt carried it in its local avatar with you. I think that's pretty darned awesome! Thank you for clarifying that. I would always scratch my head when they said on the cooking shows to use a fresh bay leaf. Now I know why! Well, just a simple 'hurrah! ', then. Nona Shivangi, please stop spamming my blog with your link drops. It is very rude! Manisha, Bong Mom might be right. I've never heard of these until the other week when I found a recipe for Punjabi Chole that asked for them by name. Like any curious person who's come across something new and possibly wondrous, I Googled - heh. Tonight I was at the grocery store that's brought in a heap of spices I've never heard of; one is "Bay Leaves Whole" (Feuilles De Laurier) inside the pack larger tejapatta leaves and a few of the smaller bay laurel. They're being imported into Canada by G.S.Teja. I've always passed them up because I incorrectly assumed they were bay laurel. No hing in sight though. Where do you get your tamalpatra from? Would you share the name of your store/supplier? Or, would you be kind enough to mail me a packet? My email address: tina.bleach2011@gmail.com I've had no luck locating this aromatic leaf. I believe this leaf will go the way of the dinosaur if we don't actively use it. Please help! Thank you for such an informative post. I am wondering what to do with the bay leaves plant I have. but I know to look for the long leaf with the three veins. I even ordered some on line from India, but they were obviously OLD and brown, and had very little essential oil left in them. If ANYONE knows where we can purchase true Cinnamomum Tamala leaves PLEASE SHARE!